At MyNameNecklace we specializes at manufacturing custom made name necklaces at a variety of fonts and styles. Displayed here are the unique characters of the Sheli Alegro Font. 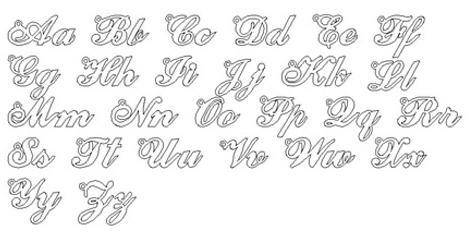 This is the font of our Justin, Melissa, Lindsey and Catrina style name necklaces.